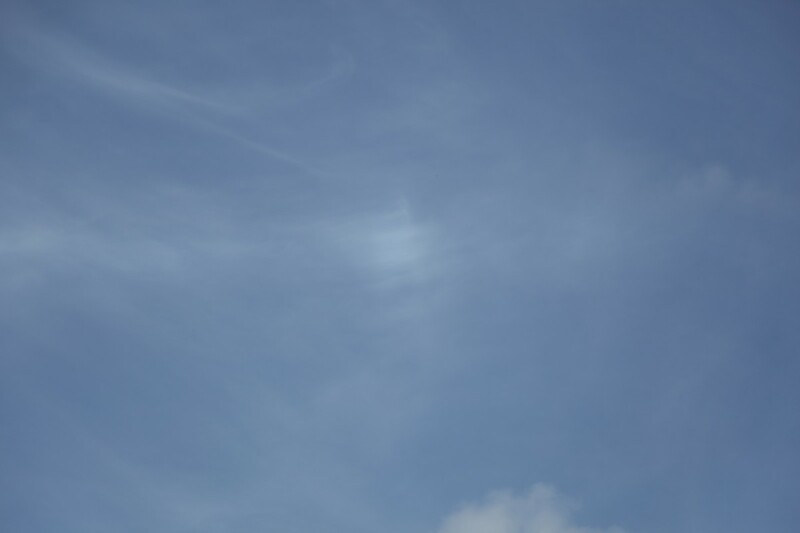 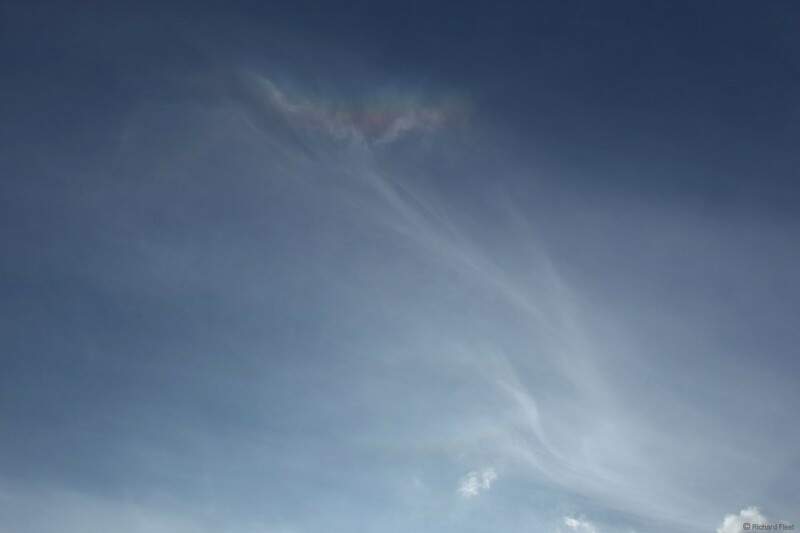 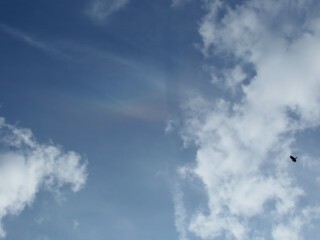 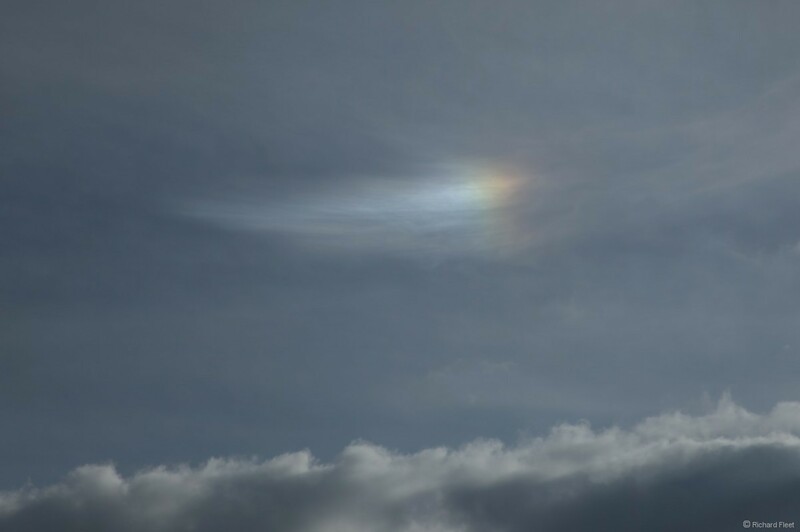 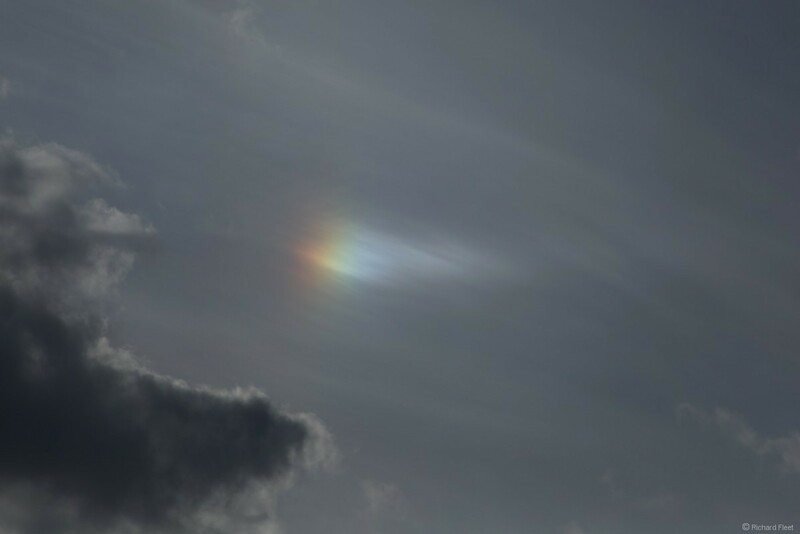 This 120 degree parhelion and fragment of parhelic circle was visible off and on for a few minutes. 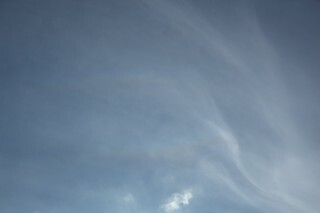 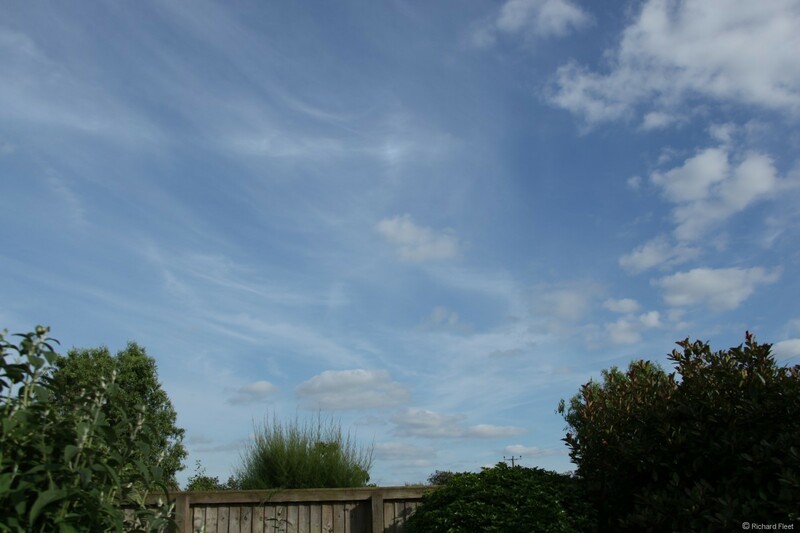 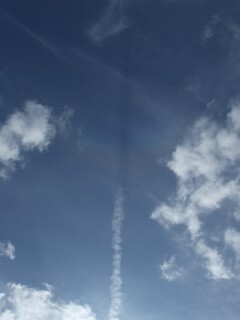 Then this contrail shadow passed through a weak circumzenithal arc. 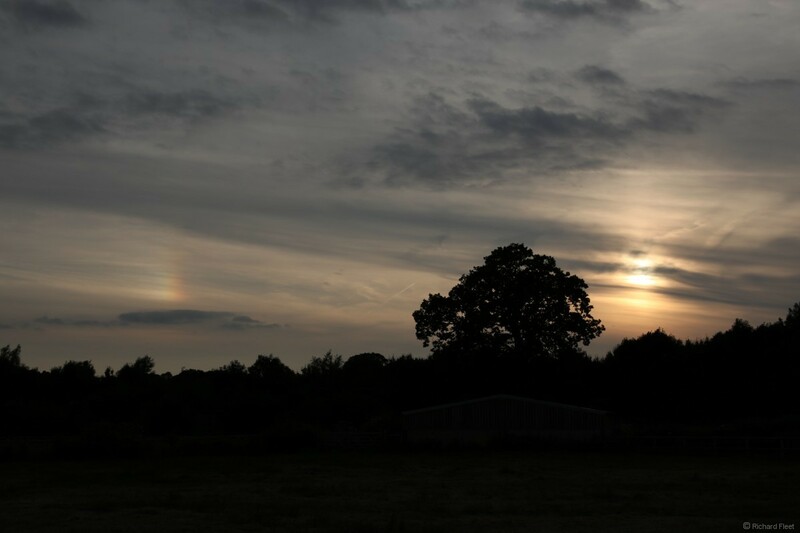 Then there were a couple of nice sundogs. There was a very brief view of an upper tangent arc with a Parry arc above it. 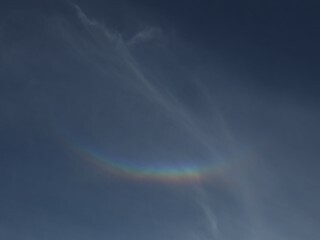 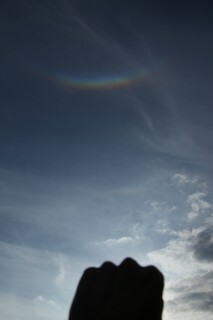 Followed by a very bright and colourful circumzenithal arc. 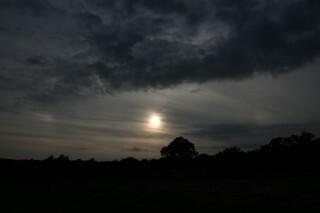 The afternoon finished with some weak sundogs.